16 centuries ago, the greatest empire the world had ever seen, The Roman Empire, symbolically, with the sack of its capitol, the eternal city of Rome, died. It was the end of 1,000 years of civilization by the hands of barbarian hordes from Germania. Many Romans argued at the time that the Empire was crumbling because the ancient gods had been displaced by the now official-and dominant-Christian faith. 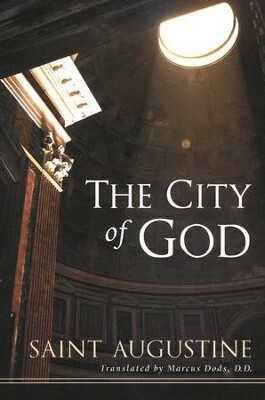 The City of God is a rebuttal of this belief-but that is far from all that it is. in addition to being an apologetic work of Christian influence, is also one the most important theological constructions on theological anthropology (esp. human depravity, political instability) and the glory of God, of his kingdom, his "City" his righteousness. 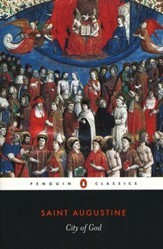 Moreover, the book is perhaps the most important and groundbreaking political philosophy the church has yet to produce. Second only to Augustine's Confessions in popularity, and spreading a wider theological net than Augustine's De Trinitate The City of God is the greatest and most comprehensive of Augustine's works. It is impossible to understand his thought, or its trajectory without this work. Now bound in a reader friendly design and size, and printed on straight white, and semi-gloss pages this edition is excellent for both a straight read of the text, or a critical study of it. 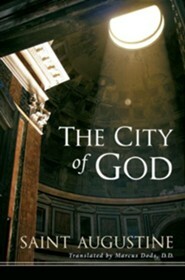 One of the great cornerstones in the history of Christian thought, The City of God is vital to an understanding of modern Western society and how it came into being. 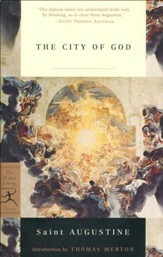 Begun in A.D. 413, the book's initial purpose was to refute the charge that Christianity was to blame for the fall of Rome (which had occurred just three years earlier). Indeed, Augustine produced a wealth of evidence to prove that paganism bore within itself the seeds of its own destruction. However, over the next thirteen years that it took to complete the work, the brilliant ecclesiastic proceeded to his larger theme: a cosmic interpretation of history in terms of the struggle between good and evil. 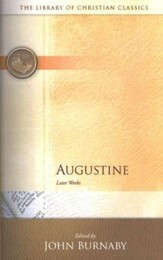 By means of his contrast of the earthly and heavenly cities--the one pagan, self-centered, and contemptuous of God and the other devout, God-centered, and in search of grace--Augustine explored and interpreted human history in relation to eternity. 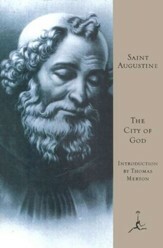 I'm the author/artist and I want to review The City of God: St. Augustine of Hippo.